Our Communities. Our Library. Our Theater. Jaws meets Jurassic Park in this 2018 film about a giant prehistoric shark. The Zonta Club presents this event to educate about a very important issue. The first Marvel film starring a female superhero! Rated PG-13 for sequences of sci-fi violence and action, and brief suggestive language. Jordan Peele (director of Get Out) delivers this critically-acclaimed horror film about doppelgängers. Tim Burton's live action remake of the Disney classic! Rated PG for peril/action, some thematic elements, and brief mild language. The magic word "SHAZAM!" turns a 14-year-old into a grown-up superhero in this DC comedy-action flick. The long-awaited culmination of over a decade of Marvel superhero films! The Rogers City Theater, originally built in 1937, is now owned and operated by Presque Isle District Library. 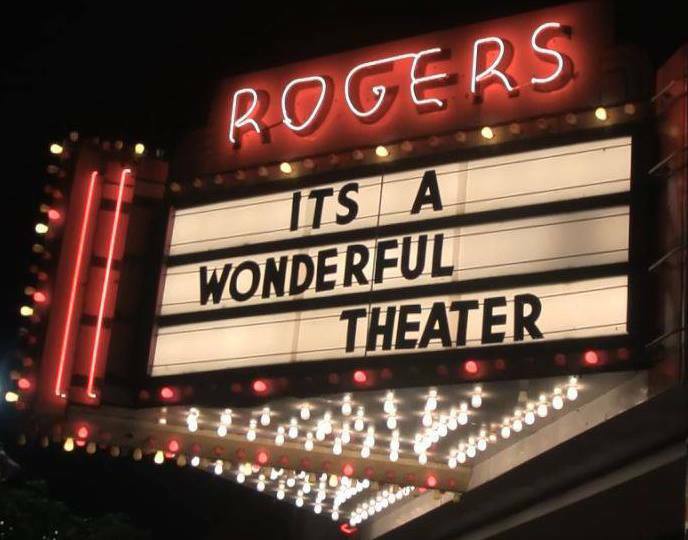 The historic art deco building is host to new and classic movies, live music, presentations, stand-up comedy, and live plays presented by Rogers City Community Theatre.